This weekend we went for a very windy walk in Manchester. 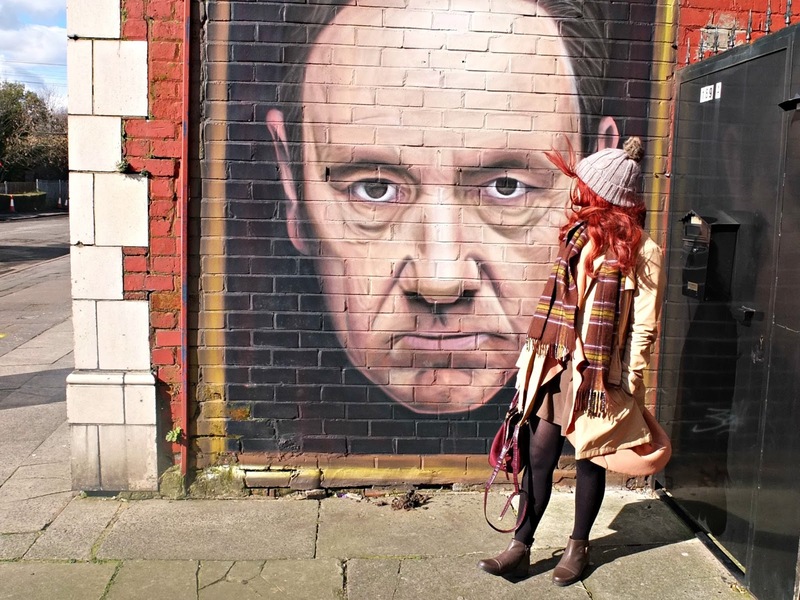 Mainly so we could go and checkout this amazingly creepy Kevin Spacey street art near to Mauldeth Road station and also to road test our new shoes sent to us by Wynsors Shoes. 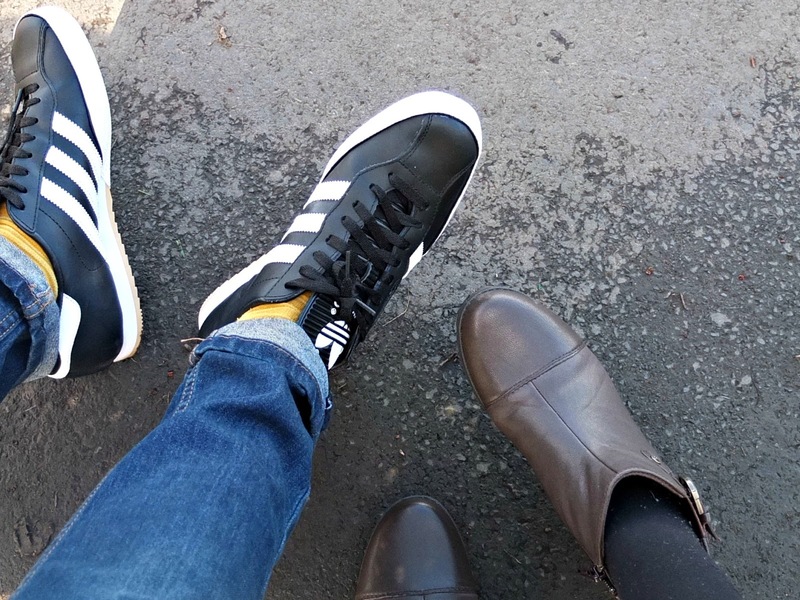 Wynsors shoes haven’t been on my footwear radar for a few years I must admit, but when I checked out their shoe selection to choose my boyfriend some new shoes from their range I was pleasantly surprised. 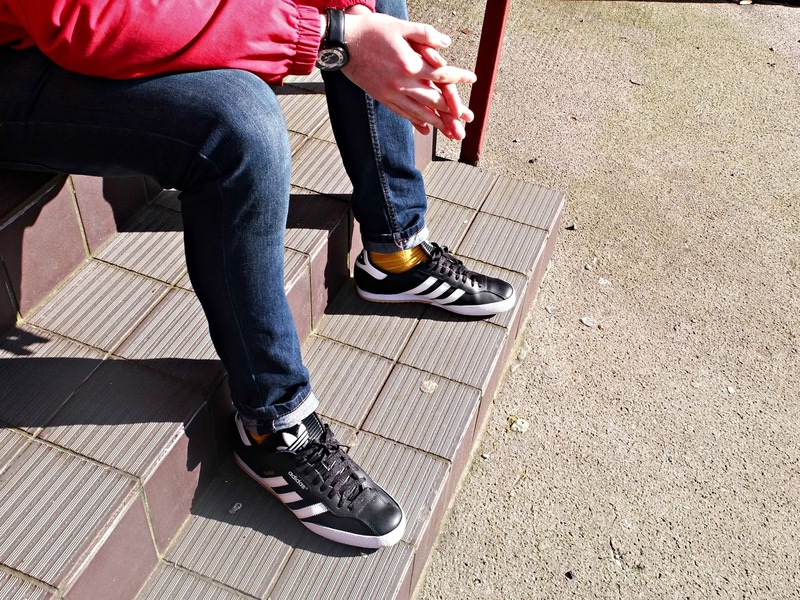 Not only did they stock a few big brand names, but they also had the adidas Samba’s in stock – a pair of trainers he has been after since we met, but never actually invested in. We were challenged to choose a pair of shoes for each other, so for me it was a bit of a no brainer! I instantly selected them and popped his choice across. For me though, he found it a little more difficult. I didn’t realise that was a thing. In the end, after a lot of back and forth, with my obviously reinforcing the fact that there is no such thing as too many shoes he came back with this pair of ankle boots from Earth Spirit. The reason he chose these? WELL, the story goes a little like this…. When shopping one spring day in Manchester, I was wearing my beloved Earth Spirit knee length boots, which were pretty much what I lived in during the Autumn and Winter beforehand. However, this day it was a little too warm, so I went to TKmaxx and got some pumps which were much more suited to the weather. Being a gentleman by beau decided to carry my bag for me, which now contained the said Earth Spirit boots. After walking to a few shops and trying some things on, it took about an hour to realise neither of us had the bag any more. Turns out, the bags were left unattended on the floor in H&M and someone had picked them up and made off with them. There was a few swear words, scornful glances and my beloved boots were no longer in my life. The joke was on the person who nicked them though, as I’d worn them so much that they absolutely STUNK. Soz. You can browse both of these styles of shoes and many more items of footwear joy over at Wynsors Shoes. If you do invest in new shoes though, make sure you don’t leave them lying in a shop for someone to steal though… Just a tip.